Over the last 10 years, several leading African American poets have read their work on SIUE's campus. Eugene B. Redmond orchestrated visits from Quincy Troupe, Mari Evans, Amiri Baraka, Haki Madhubuti, Sonia Sanchez, and the late Jayne Cortez. Redmond and SIUE's Arts and Issues Director Grant Andree were key in getting Maya Angelou to campus in 2009. Stacey Brown organized a visit from Allison Joseph, and I hosted Tyehimba Jess and helped Grant Andree with Nikki Giovanni's visit. 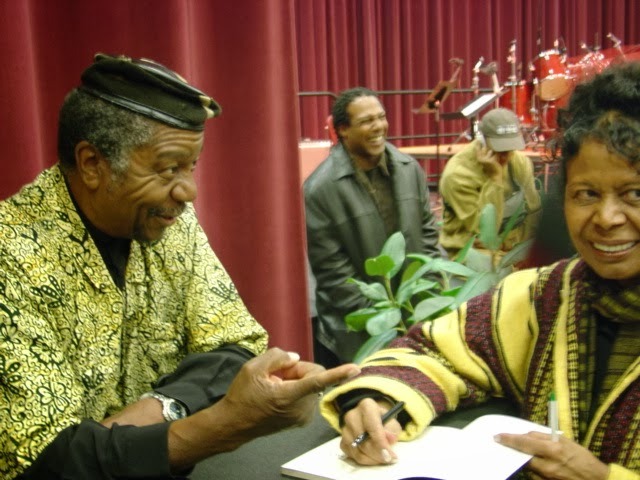 Quincy Troupe prepares to read on campus, Nov. 2003. 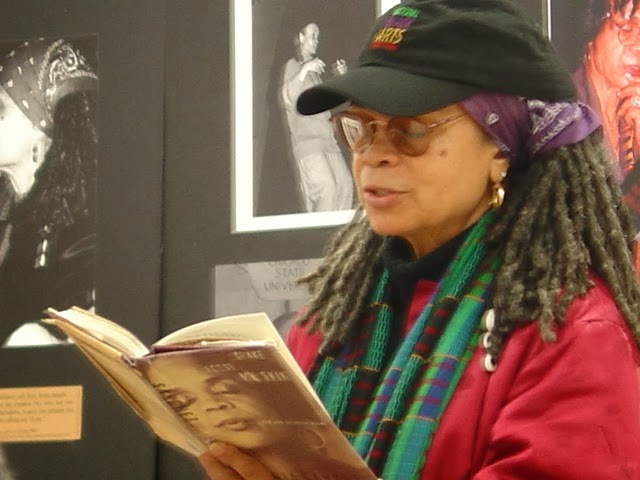 Sonia Sanchez reads in Redmond's literature course, Nov. 2004. 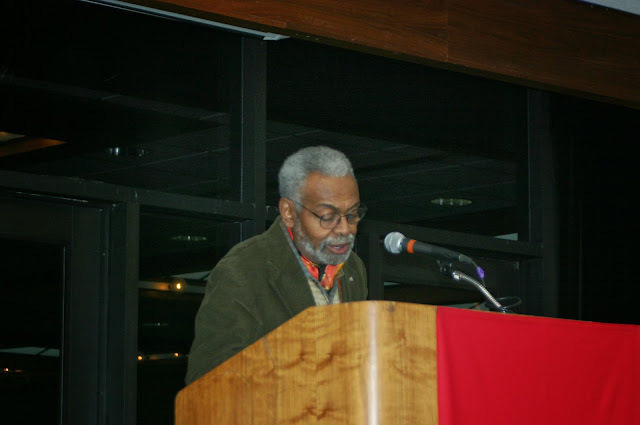 Amiri Baraka reads on campus, Oct. 2005. 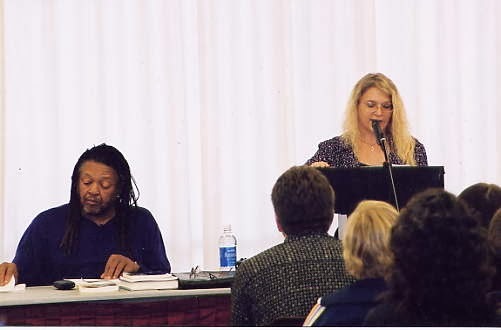 Redmond and Jayne Cortez after her reading, Oct. 2005. Haki Madhubuti speaks on campus, Oct. 2005. 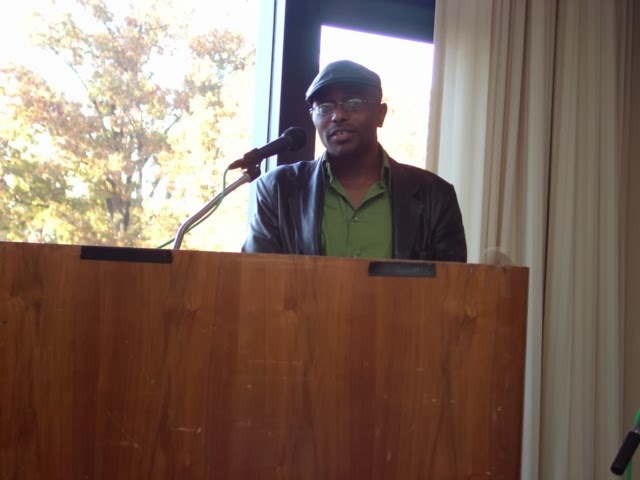 Tyehimba Jess reads on campus, Nov. 2005. 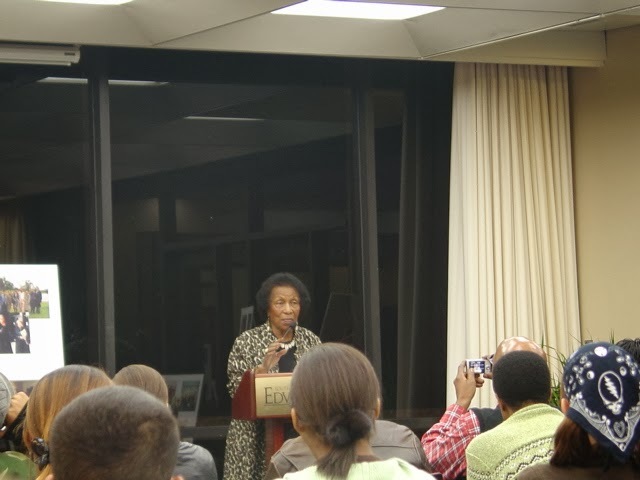 Mari Evans reads on campus, Oct. 2006. 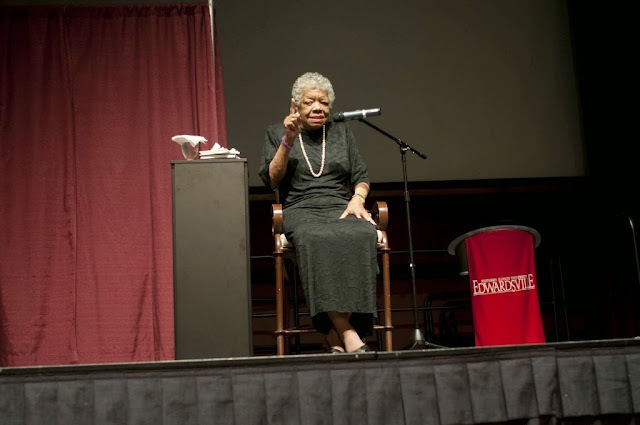 Maya Angelou reads on campus, Oct. 2009. Image courtesy of SIUE Photography. Allison Joseph reads on campus, Sept. 2010. 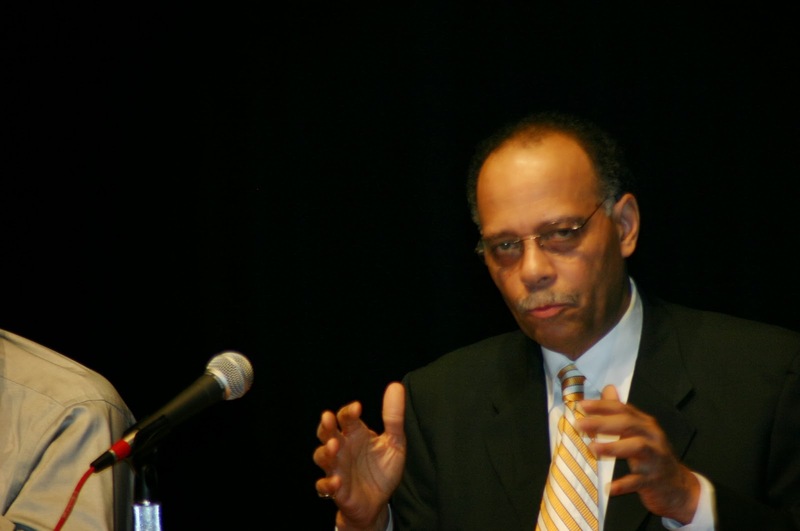 Haki Madhubuti signs book for Danielle Hall at SIUE/East St. Louis Center, Feb. 2011. Kacee Aldridge poses question to Nikki Giovanni, Nov. 2012. Attendees celebrating upcoming 75th birthday of Eugene B. Redmond (in background), Nov. 2012.